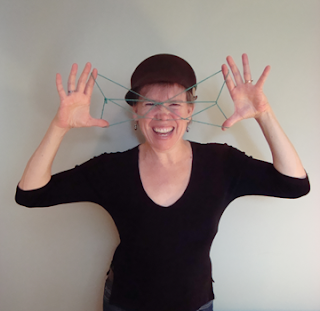 Meet storyteller Karen Gummo. She lives in Calgary, Alberta in Canada and has been a storyteller and visual artist and a dedicated listener and lover of story for all of her days. Since 1986 she has been sharing favourite tales with willing audiences. Her Danish and Icelandic heritage provide her with countless sagas of the Vikings and of the humble folk of Scandinavia. Family members have been generous too in sharing tales of their adventures and so Karen continues to honour and to hone those remarkable stories. Karen is very much involved in her local storytelling community. She's been instrumental in organising World Storytelling Day events and has been a long-standing member of both T.A.L.E.S. (The Alberta League Encouraging Storytelling) and the Storytellers of Canada-Conteurs du Canada). Karen has performed on CBC radio, at museums, outdoor parks, hospitals, festivals and conferences across Canada. She has been a featured storyteller in schools, churches, community gatherings, and for hospice patients. Karen toured Newfoundland for the Canadian Children’s Book Centre Book Week 10 years ago and traveled all the way to Iceland this year in the footsteps of her ancestors. Look for her stories of that marvelous journey. Of late Karen has been performing in schools with the Young Alberta Book Society, at Lougheed House, and in the Olympic Plaza where she shared stories of Lady Isabella Lougheed. Her String Story workshops are popular with all ages. Karen regularly undertakes residencies in schools such as Monterey Park School in Calgary's N.E. where she helped students gather up family and cultural tales in some of their more than 40 home languages. You can listen to Karen share her passion for story on Sunday 21 February 2016 at 7am EDT (Canada/US), 12noon (UK/Ireland) and 9pm (Australia) only on Blues and Roots Radio (www.bluesandrootsradio.co.uk).